Tomb Raider: Definitive Edition for Xbox One and PlayStation 4. 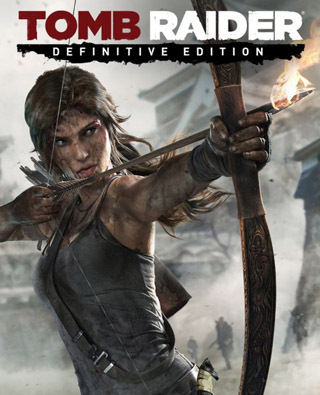 Tomb Raider: Definitive Edition was developed in tandem United Front Games and Nixxes, who worked with core Crystal Dynamics team members and assets to rebuild Tomb Raider from the ground up for next-gen consoles. The team didn’t simply up-rez the game, they pulled it apart and rebuilt it with obsessive detail and new technology, finally allowing us to reach a vision for the game that we always wanted. Now in native 1080P with TressFX hair rendering and a next-gen Lara model. Dark Horse digital comic book "Tomb Raider: The Beginning"
Brady Games digital art book "Tomb Raider: The Art of Survival"